Isabel dos Santos, the billionaire daughter of the Angolan president, is the main beneficiary of the diamond trade in Angola. This involves simple arrangements in Angola, and more sophisticated ones abroad. Forbes magazine recently published an article in which this author investigates the partnership set up by Isabel dos Santos, through her husband Sindika Dokolo, and the Angolan state for the acquisition of the Swiss jeweller De Grisogono. This brand is known to be the favorite choice of movie stars and fashion celebrities including Sharon Stone and Heidi Klum. 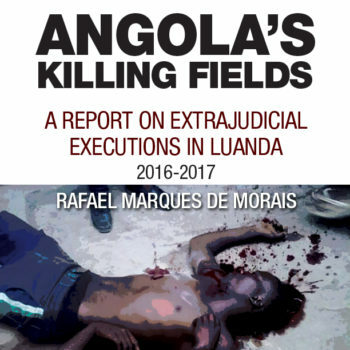 Maka Angola expands on this investigation and puts it in context. On February 27, 2012 a Maltese-registered company, Victoria Limited, acquired 72.5 percent of De Grisogono Holding S.A. The shareholding soon increased to 75 percent. A press statement by De Grisogono founder Fawaz Gruosi at the time when the shares were sold said the deal was worth more than US$100 million. The same day, a company called Victoria Holding Limited acquired 17.2 percent of Grisogono Holding S.A., in exchange for a 20.87 percent shareholding in its subsidiary, Victoria Limited, granted to Fawaz Gruosi, who at the time was De Grisogono’s major shareholder and president. As part of the deal, Victoria Holding bought the CHF 63 million (Swiss francs) debt with the Swiss banks UBS, Banque Cantonale Vaudoise and Banque Cantonale de Genève. A further 2.5 percent of the shareholding in De Grisogono was transferred to Victoria Holding. Sindika Dokolo created Victoria Holding Limited in 2010 through a company registered in Holland, Melbourne Investments B.V., in partnership with the Angolan state-owned diamond marketing company Sodiam. According to documents seen by Maka Angola, Melbourne Investments B.V. does not have a single employee, and therefore pays no salary nor makes any social security contributions. This shell company, previously named Exem Mining B.V., is in turn 100 percent owned by Exem Holding A.G., based in the Swiss canton of Zug. The actual beneficiary of Exem Holding was recently revealed to be none other than Isabel dos Santos, when she presented a statement of her assets in the course of making another major deal. Exem Holding also controls 50 percent of Esperaza Holding, while the Angolan state oil company Sonangol has the other half. Esperaza Holding owns 45 percent of Amorim Energia B.V., which is the main shareholder in the Portuguese petroleum company Galp. Sodiam was created by the government as the sole outlet for marketing diamonds in Angola. Isabel dos Santos used to have a 24.5 percent share in Ascorp, the entity set up by the government for the “direct purchase of diamonds on the informal market”, in other words from artisanal diamond diggers. As the international campaign against “blood diamonds” gathered force, Ms dos Santos decided in 2004 to transfer her shares into the name of her mother, Tatiana Kukanova (now Tatiana Ragan). In an interview with the Swiss newspaper Le Matin, Fawaz Gruosi acknowledged the Angolan investment. “It was a great opportunity for De Grisogono because it gives us privileged access to top quality precious stones, which allows us a kind of integration that few brands are able to obtain,” he said. According to an article in the Swiss business magazine Bilan, on 2 April 2012, Gruosi named Endiama, Sodiam’s parent company, “controlled by the Angolan state, which explores diamond mines” as one of his investors, via Victoria Holding. He referred to Sodiam without mentioning it by name, as it is the only company that deals in and earns revenue from diamonds. Sodiam benefits from the exclusive right to market Angolan diamonds outside the country, which gives it a monopoly worth more than US$1 billion a year. The response from Mário Silva, the Portuguese man who is the main custodian of Isabel dos Santos’s fortune, makes no sense. Victoria Holding is 50 percent owned by the Angolan state. How can it have done a deal without Angola being involved, when the Angolan state owns half of it? It would therefore appear that Mário Silva has not read the statements by Gruosi, who sold the shares, and Dokolo, who confirms that Angolan diamonds flow through the entire business. In reality, Silva signed documents, which are in the possession of Maka Angola, which confirm Sodiam’s involvement in the business. Silva chose simply to lie. The company registry entries for Victoria Holding and Victoria Limited indicate only Dokolo’s Danish nationality. The son-in-law of President José Eduardo dos Santos did not use his Congolese and Angolan nationalities to support his affirmation that Africans can invest in the West. He does so simply as a European. On the other hand, an African’s first concern should not be with asserting himself in the developed world, but rather respect for his neighbours. There is no indication that Dokolo or any member of the Dos Santos family has ever shown any public concern about the systematic and atrocious violation of human rights in Angola’s northeastern region of the Lundas, resulting from and directly related to diamond exploration. On the contrary, the president’s immediate and extended family is the main beneficiary of the situation. During the September 2012 election campaign, President dos Santos stated that the revenue from Angola’s biggest diamond mining project, which produces 70 percent of the country’s diamonds, is not even sufficient to build a few roads in the region. “The money that the government earns from Catoca each year isn’t even enough to pay for the roads that we are building now,” Dos Santos said. The proven partnership between Isabel dos Santos, Sindika Dokolo and Sodiam amounts to a flagrant case of conflict of interest, corruption and nepotism on the part of the President of the Republic. It is the President of the Republic who appoints and can dismiss the board and the chair of Sodiam, at his own convenience. Moreover, the company can make investments and form partnerships only in accordance with policies and strategies defined by the head of the Executive, namely José Eduardo dos Santos. As a state enterprise, Sodiam must publish its accounts each year just as Sonangol does, but in reality it has never done so. The same is true for Endiama, the national diamond concessionaire, which owns 99 percent of Sodiam. Dokolo has said that, in terms of successful stories for development, this “Angolan model will 20 years hence be celebrated unanimously”. After surpassing the Mobutu Sese Seko model as the most corrupt and venal regime in Africa, the Dos Santos model will eventually come to be seen as the most advanced and developed of its kind.